In 1992, two entrepreneurial spirits, Ole Brøsted Sørensen & Morten Støve, left Brüel & Kjær and started a transformation that affects the audio industry to this day. They turned the most well-known and accurate measurement microphones in the world into the clearest, truest pro-audio microphones you can purchase today. The d:dicate™ 4006 was one of the first recording mics DPA developed and is still one of the best-loved recording mics in the world. After hearing DPA recording mics, professional sound engineers in other segments began to take notice. In particular, the theater market needed a solution that, while still capturing clear sound, was flexible and easily concealable. About this same time, Danish companies were making amazing advances in hearing aid technology; focusing on creating better sound in smaller packages. In order to gain the competencies needed to accomplish this task, DPA collaborated with the Danish hearing aid manufacturer, Muphone. With these skills in place, DPA minimized the capsule size into a miniature package that was so clear sounding and yet unobtrusive, it could support creative expression on the stage. Once the capsule was perfected, work began on creating headset versions of the miniature mics. After years of shared success, DPA and Muphone merged in 2005. Over the past decade, DPA has developed unique mic solutions to appeal to new segments of the market as well as improving the specs of the product portfolio. Since 2015, DPA has intensified its focus on new product development and has increased its investment into R&D. Concealable miniatures, flexible headsets and top-of-the line vocal microphones are a few of the solutions that have changed the audio world through the years. Not content with resting on its laurels, DPA introduced a game-changing new technology in 2017. 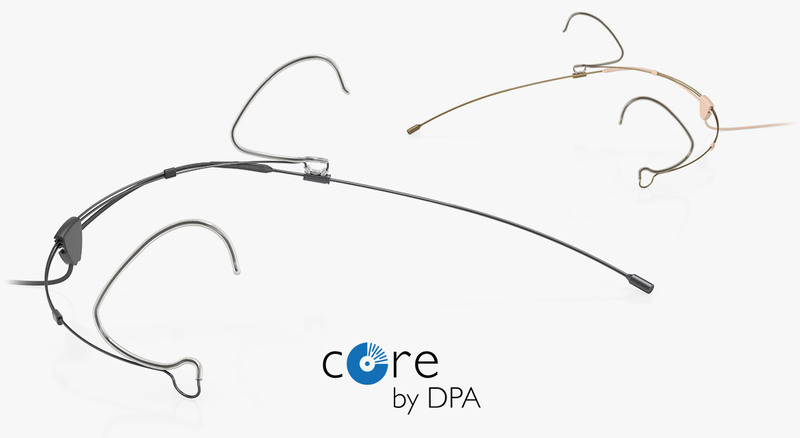 CORE by DPA was introduced in the miniature lavalier and headset capsules. This preamplifier technology minimizes distortion and expands dynamic range – making these amazing miniatures sound even better than ever.